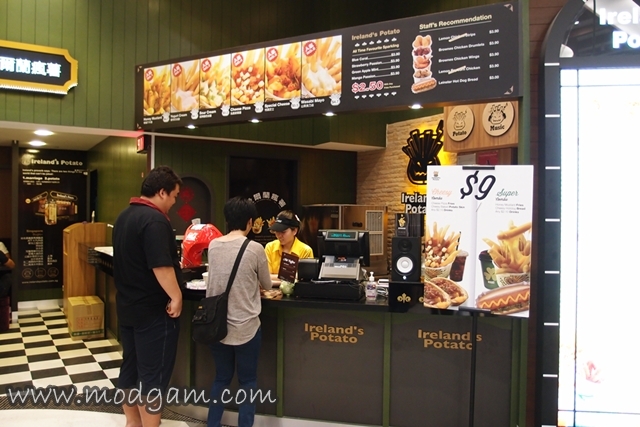 Are you drooling from reading Part 1 of my Bugis+ Food Trail with omy bloggers – 11 food places in 6 hours? Are you ready for Part 2? Here we go again! 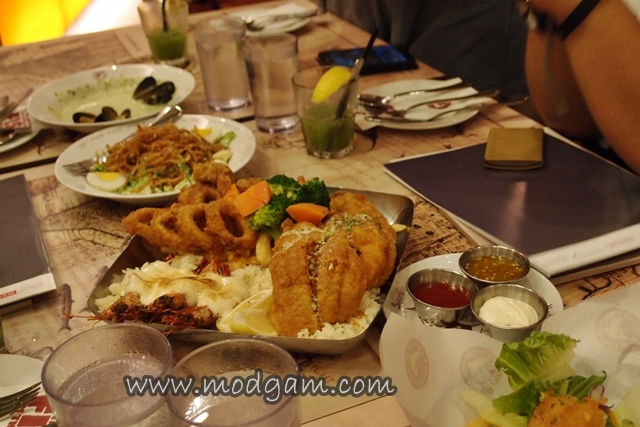 You can check out my previous food review on The Manhattan Fish Market HERE! 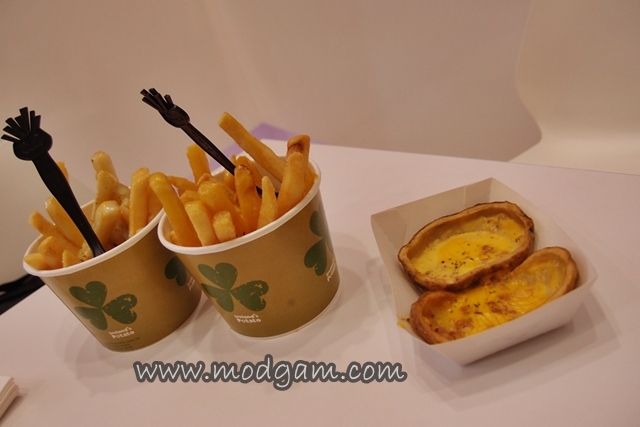 It is similar to what we had this time at the food trail! 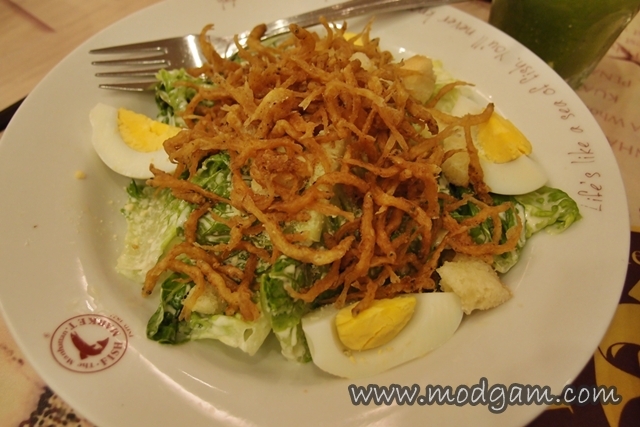 Caesar Salad with Crispy Whitebait S$10.50 – I love the crispy fried silver fish for it gives the lettuce the extra crunch! 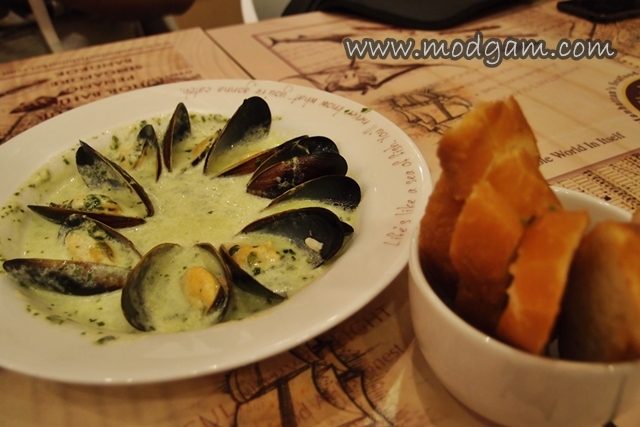 Garlic Herb Mussels S$7.95 – Poached mussels in MFM signature Garlic Herb Sauce served with baguette. Calling all K-pop lovers! Look here! 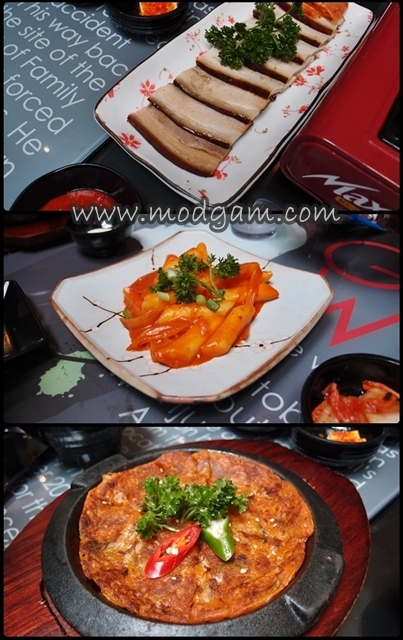 Good quality Korean cuisine with an extensive menu ranging from appetizer to mouth-watering desserts. It’s a little too spicy for the ketchup me! Hahaa but my friends are enjoying and having a fabulous time feasting away. 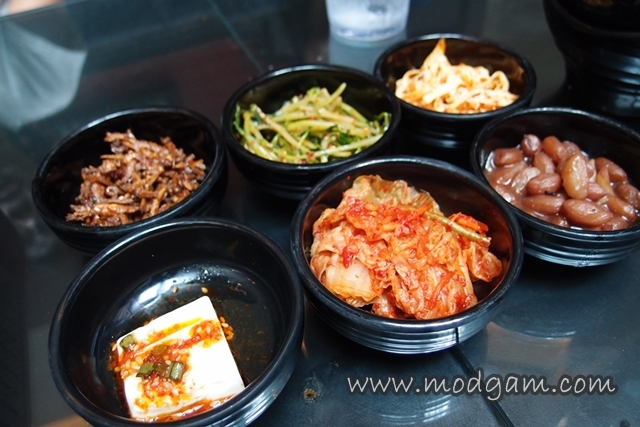 The delicious appetizers – so authentic and reminds me of my Korea trip! Korean Ginseng Chicken Soup S$15.90 (half chicken), S$24.90 (whole chicken) – DELICIOUS! Army’s stew with assorted meat S$36.90 – this is my favourite dish and as what you see in most Korean drama, this is another MUST HAVE! 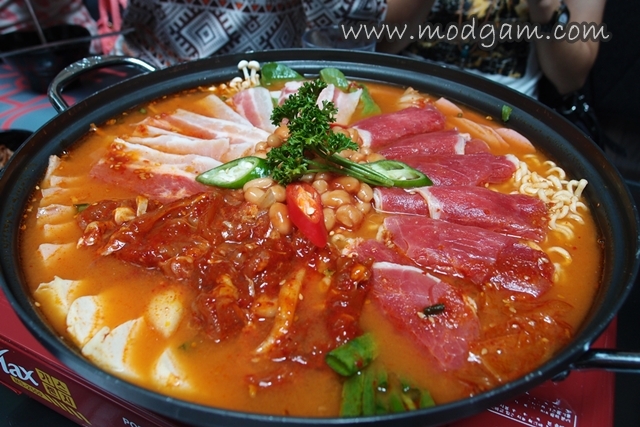 It is more enjoyable when eating with a group of friends for this dish is so big, it is enough for 4! 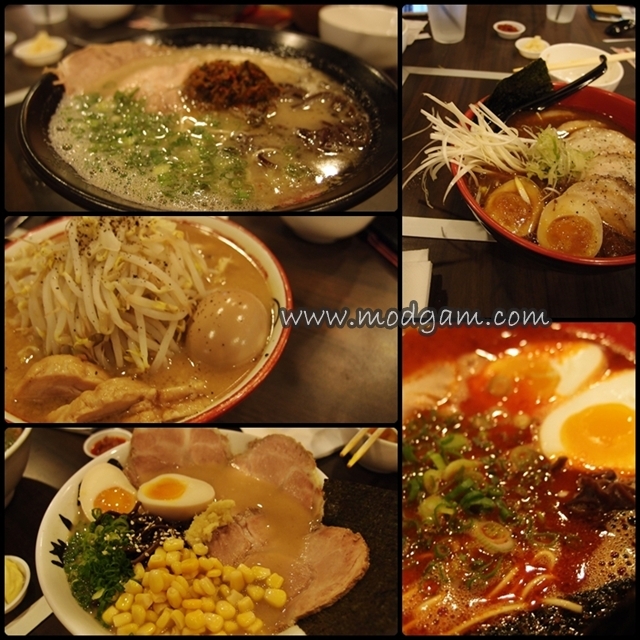 You are in luck for the best Japanese ramen is in town! 6 of the top Ramen Shops from the different regions in Japan under one roof! We were served 7 different ramen and each of them tasted different and interesting. 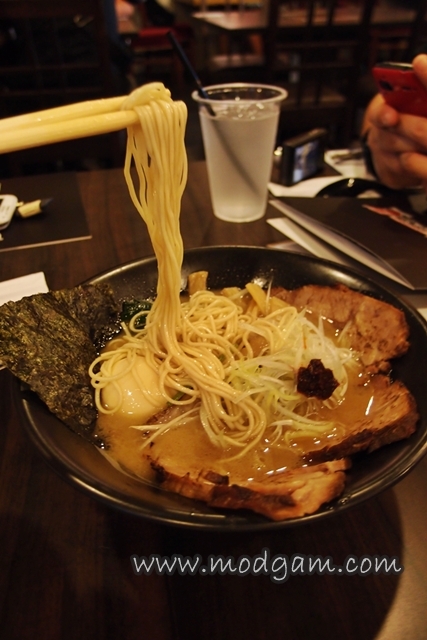 Special Tonkotsu Ramen S$15.00 – this has got to be my favourite! Broth is rich with hints of black pepper with soft thin noodles. Yums! I love potato and am excited to see the variety of choices Ireland’s Potato has in store for us! From Honey Mustard to Pickle Mayonnaise to Cheese Pizza to Yogurt, you name it they have it! We tried Honey Mustard and Wasabi Mayonnaise, it isn’t hard to guess which is my favorite since I’m a sweet-tooth! The Cheesy Baked Potato Skins are pretty interesting too. 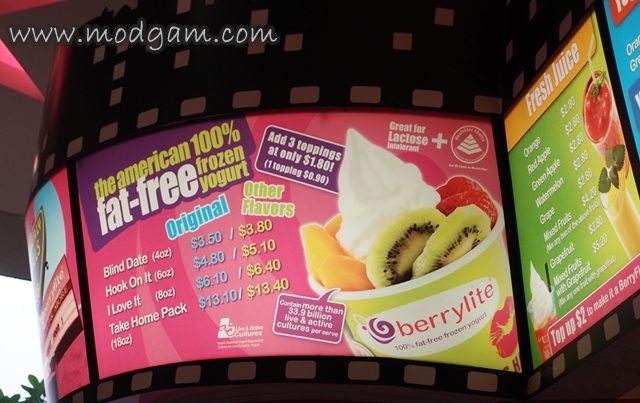 Berrylite American Premium 100% Fat-Free Frozen Yogurt! Indulge in Berrylite frozen yogurt as often as you want, without the guilt, because it’s chock-full of probiotics that helps to maintain a healthy digestive system and maintain a desirable balance of beneficial bacteria in the digestive system. Blind Date (small size) – your 1st time trying this flavour and you ain’t sure if you like it just like when you are out on your blind date, so you order a small cup to try. Hook On It (medium size) – you are sure of the flavour and you want more of it but not too much. I Love It (large size) – you are absolutely certain that this is the one you love! Take Home Pack – you like it so much you want to take it home with you! 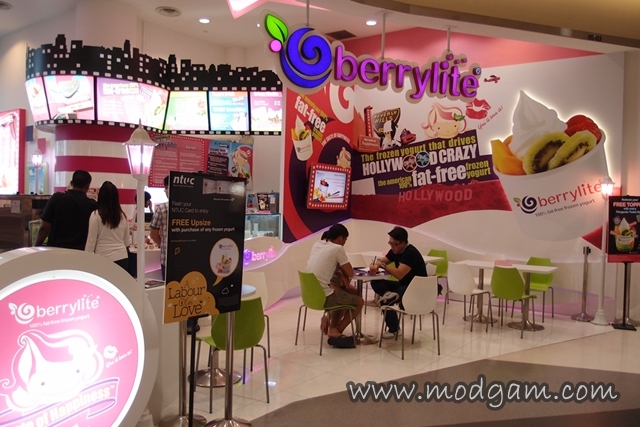 Berrylite Frozen Yogurt is available in Original tart and more than 50 other yummy flavors to be rotated every fortnight. 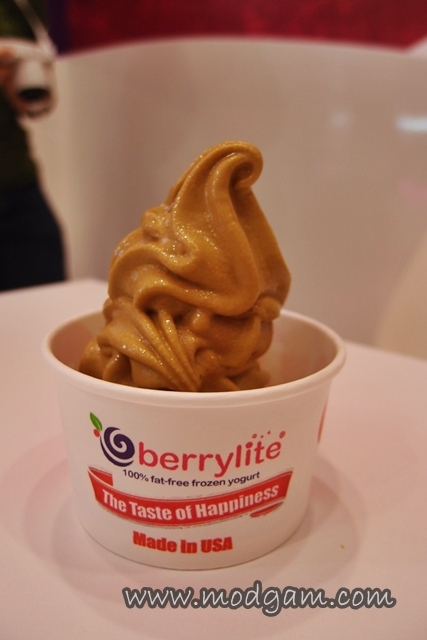 With a wide range of fresh fruits and exciting toppings, Berrylite is bound to please! 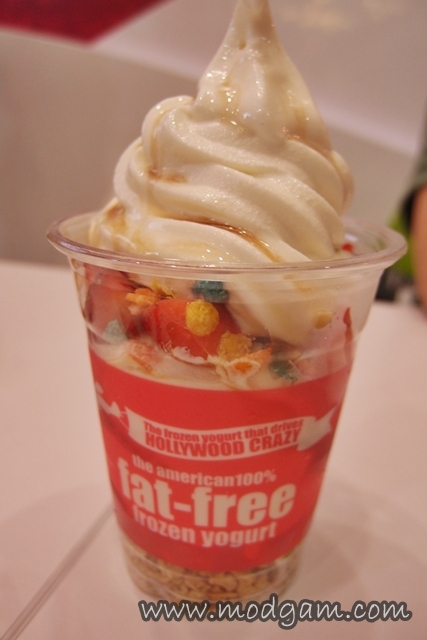 Caramel Yogurt – I AM IN LOVE! This is sooooo delicious, I WANT TO BUY A TUB HOME!I can safely indulge in this knowing its 100% fat-free! Woots! If I got the name correctly, this is their up and coming new product; Greek Parfait! Filled with all the goodness and proteins you need! One cup = a meal. When you feel like snacking, get a cup of Berrylite the next time! ALOHA! We have finally reached the last stop of our 6hours crazy food marathon! Aloha Ma Maison is a Hawaiian themed restaurant. We were in serious food coma and completely full by the time we got here. Like what Mag/Modgam always says “A meal is not complete without dessert!”. 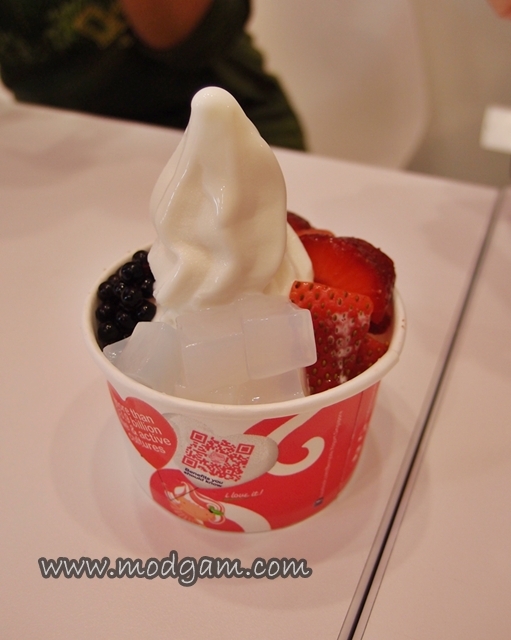 Mixed Fruits Pancake (w/o whipped cream S$13.80, with whipped cream S$15.80) – the whipped cream is entirely homemade. 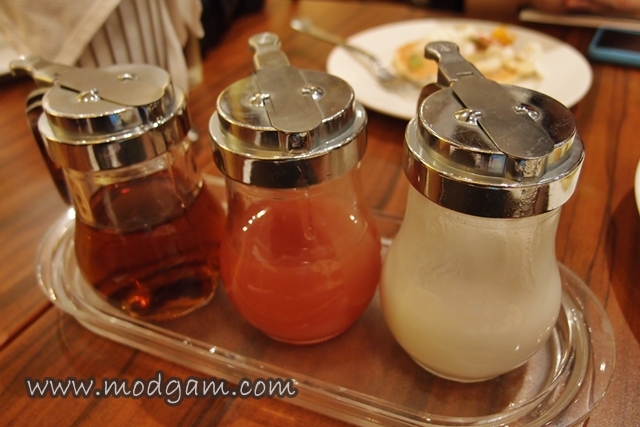 Instead of just pouring maple syrup to the pancakes, there is also coconut and guava syrup! Interesting ya? literally, a sweet ending to your food marathon! that pancake with fruits and whipped cream is such an eye-candy but a bit pricey; is it worth it? i think my family and i would love that ramen and berrylite stores; if they’re all located in bugis, we might drop by because the sponsored hotel is near it (ibis at bencoolen), isn’t it? Hi for the Korean Ginseng Chicken Soup , is there any rice inside the chicken? hi zzne, yes…its with glutinous rice. =] are you heading there to try?